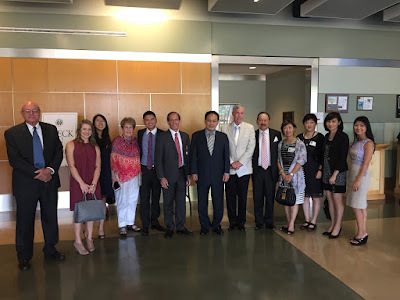 Mr. Greg Meyers, 12-year tenure of the Education Board in Houston Independent School District (HISD), established an educational connection with the Education Division of the Taipei Economic and Cultural Office (TECO) in Houston in 2013. 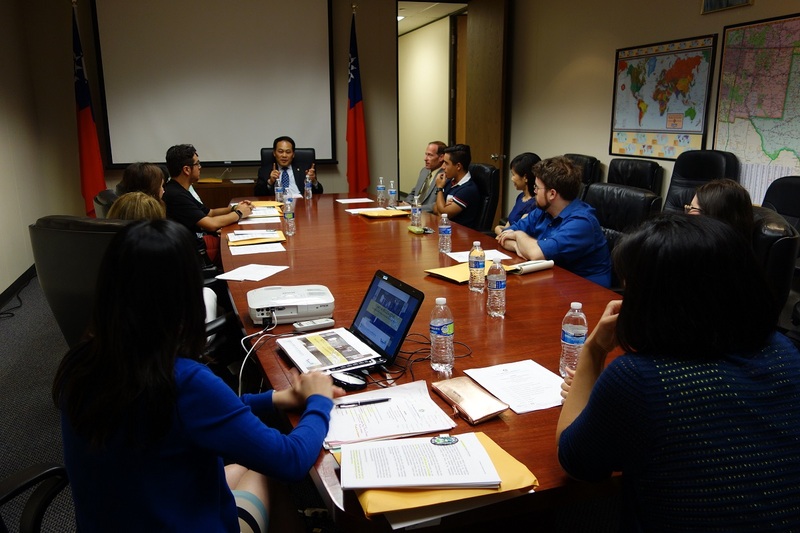 Since then, exchange programs created have been beneficial to teachers and students in HISD and Taiwan. Working together with the Education Division of TECO in Houston, Mr. Meyers’s support for education has successfully promoted educational collaboration between Taiwan and HISD, including: visiting Chinese language teacher agreement between Taiwan Ministry of Education and HISD; educational partnership between Taipei City Department of Education and HISD; sister schools agreement between Taichung Huiwen Elementary School and Sharpstown International School, and Ed White Elementary School; opening the WOW TAIWAN Mandarin Chinese program at the Citizen Schools Texas that helped closed learning gap for students of disadvantaged families, and etc. 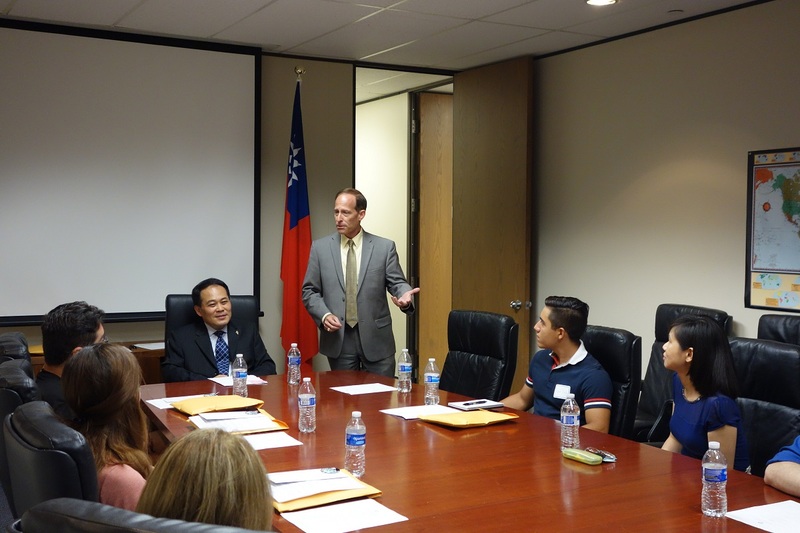 Aside from promoting exchange programs for teachers and students of both Taiwan and Houston, Mr. Meyers has also put in a lot of effort that has helped to connect partnerships for educational administrative agencies in both Taiwan and HISD. 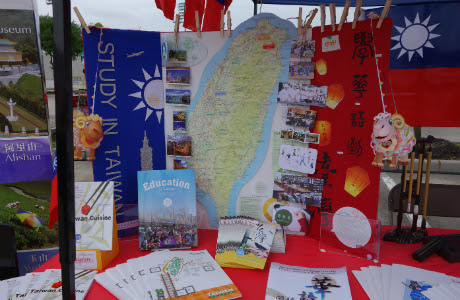 Meyers’s action speaks louder than words by participating in educational activities associated with Taiwan. 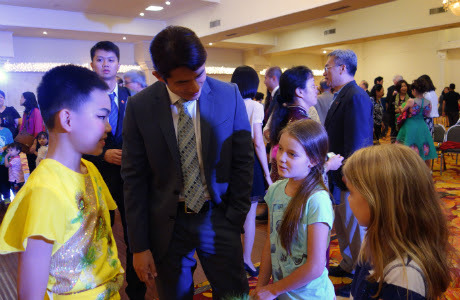 He hosted several delegations from Taiwan such as the Starlight performance group, Taipei Youth Folk Sports Performing Group, he accepted an interview with the CommonWealth Magazine in which he shared his philosophy of education with hope to promote his idea on education: putting children first and creating more opportunities for disadvantaged students. 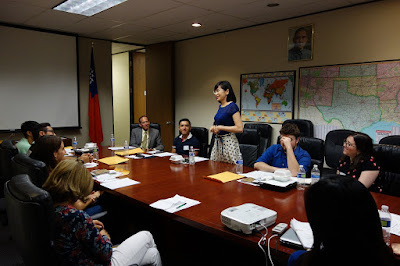 In light of his contribution to education, the Ministry of Education of the Republic of China (Taiwan) awarded him the top honor to educators in Taiwan to recognize his achievement. Mr. Meyers is the first American to receive this award from Taiwan Ministry of Education, and the twelfth foreigner to receive this honor. 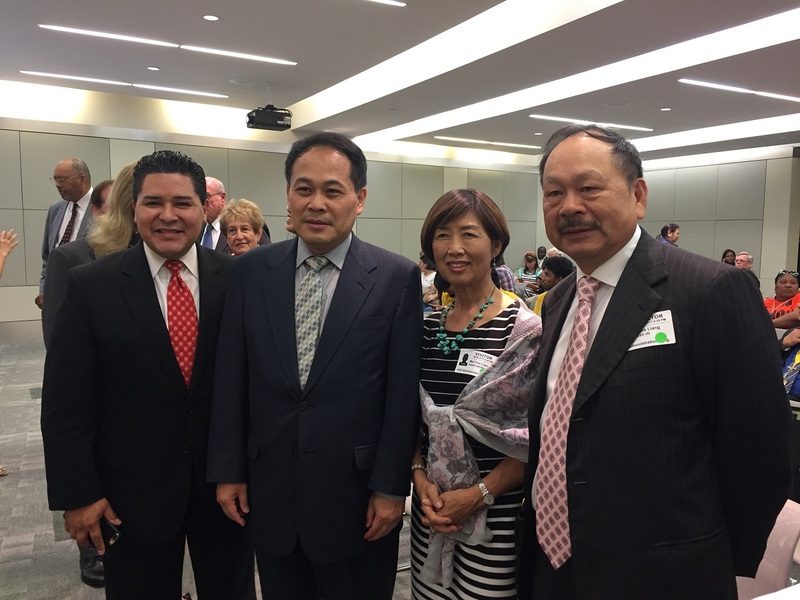 The award ceremony was held at the HISD Board Meeting on June 8, 2017. Director General Louis M. Huang of the Taipei Economic and Cultural Office in Houston presented the Medal and Certificate on behalf of the Republic of China (Taiwan). In his remarks, Director General Huang quoted Superintendent Carranza’s 2017 State of the Schools speech from February to request people’s engagement in education. 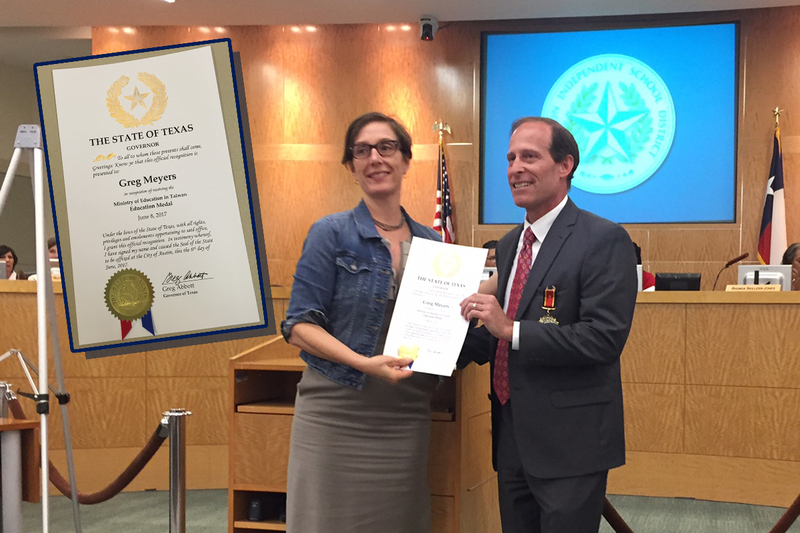 Mr. Meyers’s partnership with the Education Division of TECO in Houston has become a role model for our community. Trustee Anna Eastman presented a recognition proclamation to Mr. Meyers on behalf of Texas Governor Greg Abbott. Houston City Council members Jack Christi and Steve Le, HISD representative Jason Bernal, Mr. and Mrs. Frank Liang of the Taiwanese Chamber of Commerce of Greater Houston also participated. 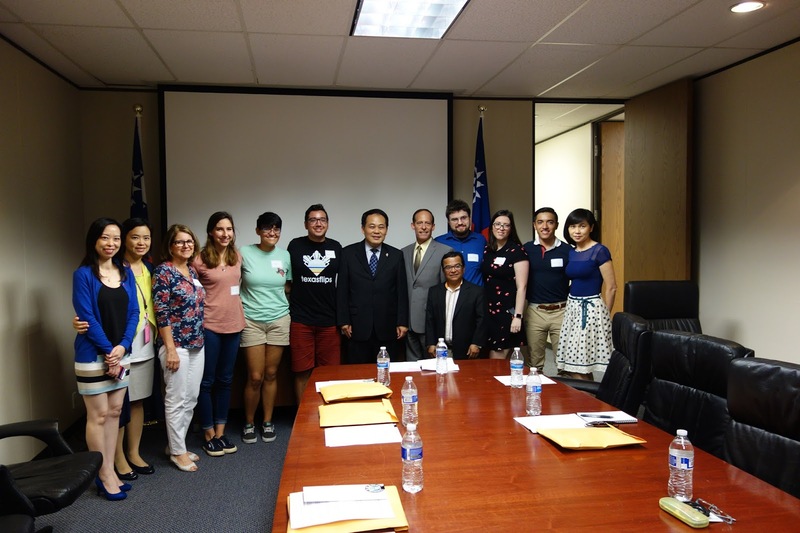 Louis Huang, Director General of the Taipei Economic and Cultural Office in Houston (L5 front), Don Wang, Senior Adviser of Overseas Compatriot Affairs Commission (L4 front), Sophie Chou, Director of Education Division (R1 front) and the award recipients. The Education Division of the Taipei Economic and Culture Office in Houston held the 2017 Test of Chinese as a Foreign Language (TOCFL) Award Ceremony on May 19, 2017. 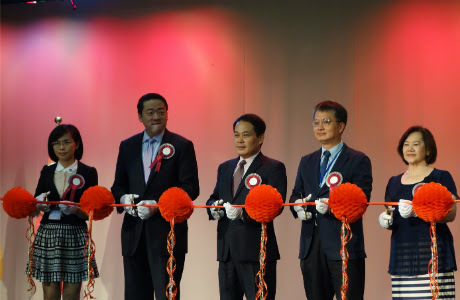 Director General Louis Huang and the Senior Adviser of Overseas Compatriot Affairs Commission, Don Wang, were invited to present the awards. The top 3 examinees of each level were awarded with a prize in addition to the certificate individually. 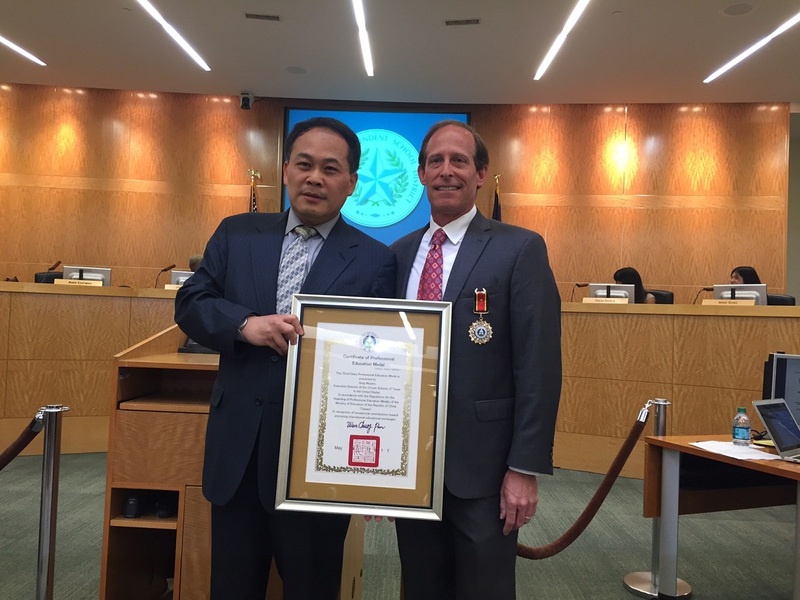 91 examinees with diverse backgrounds from multiple high schools and Chinese language schools participated in the exam in Greater Houston Area. The TOCFL has three proficiency bands with 6 levels. 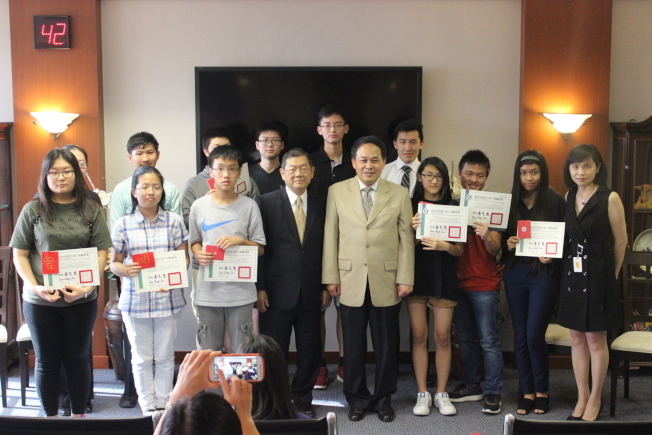 There were 17 examinees from all 6 levels who received awards this year. Most of these outstanding award recipients are from Bellaire High School, Clements High School, and Lamar High School. Several recipients received full marks in the listening section of the exam. Ms. Shu Yu Wang from Bellaire High School even received full marks in both the listening and reading section, winning first place for Level 6. 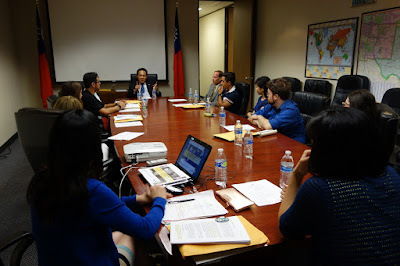 The Education Division has administered the TOCFL in the Southern region of the United States since 2009. Nearly a thousand people in the Houston area have since taken this exam. TOCFL is intended for people who want to evaluate their Chinese proficiency, and for those who want to study, work, or do business in Chinese-speaking countries. Examinees who pass the test receive a Chinese Proficiency Certificate which serves as a credential for eligibility for the “Taiwan Scholarship” sponsored by the Ministry of Education for studying in Taiwan. 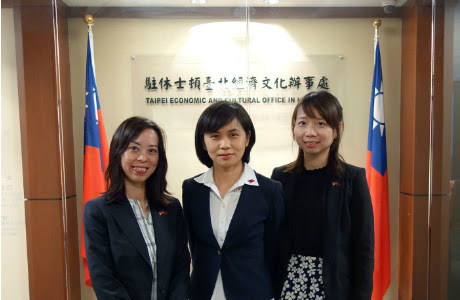 The TOCFL has become a requirement for international recruitment of an increasing number of Taiwan funded enterprises. 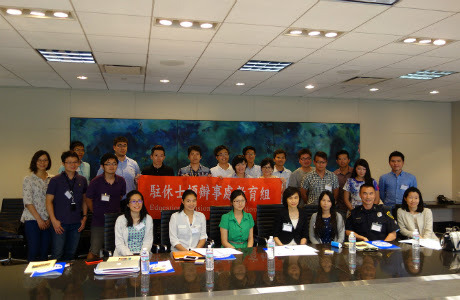 Gaining this credential is a useful method to demonstrate Chinese language proficiency and can improve your chance for scholarships and employment opportunities.